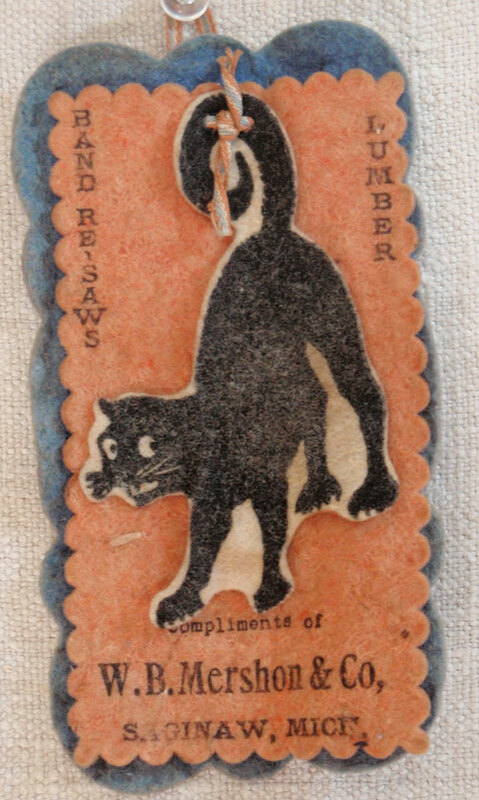 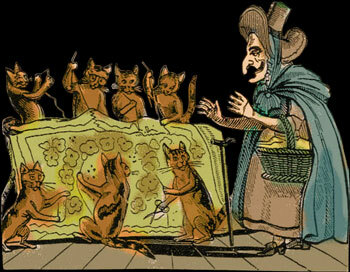 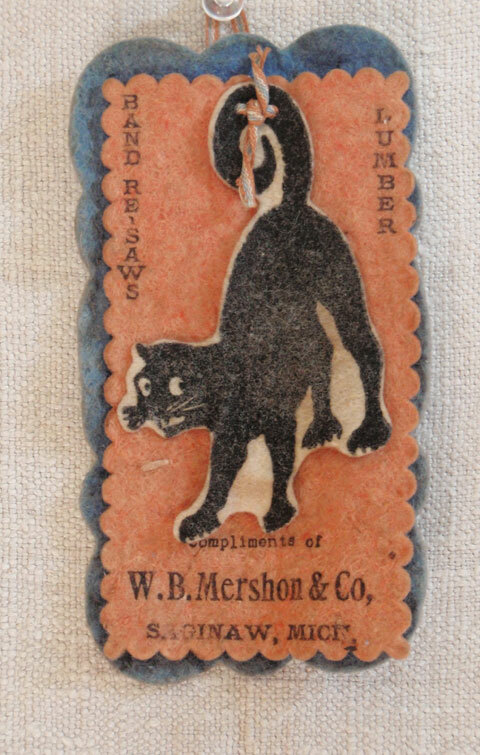 This is just a fun piece of advertising memorabilia as well as a great black cat collectible. 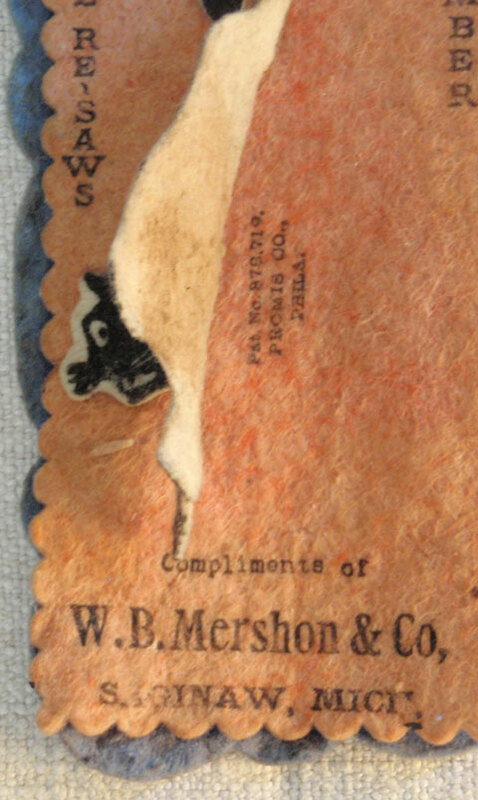 Measuring 5 ¾ inches long by 3 inches wide, it has 3 felt leaves: the cat, the advertising and he blotter itself. 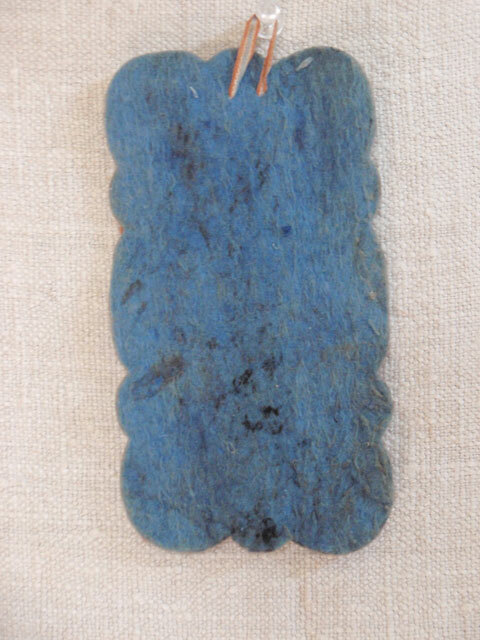 It also retains a wonderful piece of salmon, blue and white tape that was its hanger.